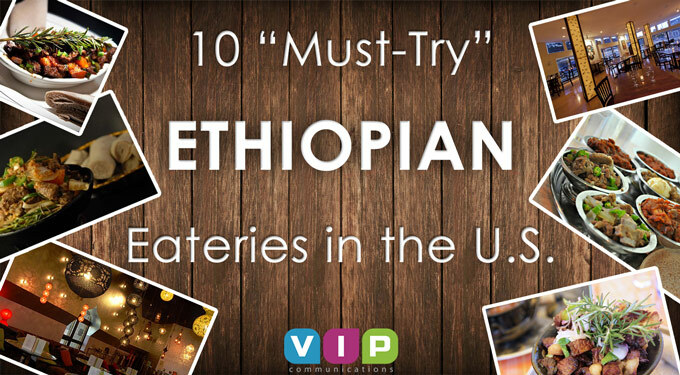 Home / VIP Blog / 10 'Must-Try' Ethiopian Eateries in the U.S.
Nestled right in the nation’s capital, Ethiopic is an upscale Ethiopian restaurant serving authentic entrées in a sleek and elegant setting. 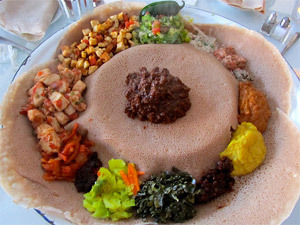 With over 15 Ethiopian restaurants in D.C. this is sure to be one of the best. 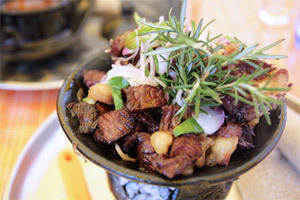 With traditional spices and dishes, you can try everything from traditional beef tibs to unique lamb dishes. To one’s surprise this windy city in Illinois has more than just pizza and food trucks. 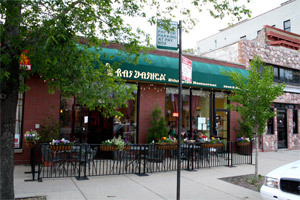 Ras Dashen is a restaurant that offers true Ethiopian cuisine. Raved for its service and injera (sponge like bread). 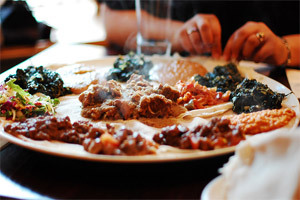 This restaurant is perfect for Ethiopian food lovers or people trying it for the first time. Make sure to try the genuine African and Ethiopian beers; though, if you’re not much of a drinker, their coffee is to die for! This restaurant may be hard to find due to its location but sure enough it does not disappoint once inside. 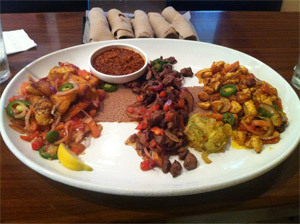 Desta will satisfy all your Ethiopian cravings and more. The fish tibs are one of many local favorites. For dessert you won’t find any Georgia peaches; instead, the baklava is a signature dessert. This sweet and flaky pastry can be served cold or hot depending on your mood. If you’re passing through San Francisco and craving some Ethiopian food be sure to check out Tadu. 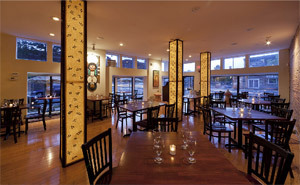 The restaurant is small with a bright and colorful décor. Do not be alarmed by the extensive menu. There are all the traditional Ethiopian dishes and servers to help break down any questions you might have. While Philadelphia is primarily known for its cheese steaks and pretzels; it’s also known for its diversity in African and Ethiopian cuisine. Among the top is Almaz Café. 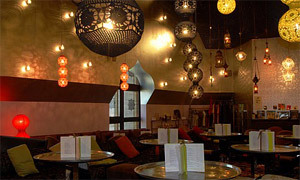 With outside seating and an intimate inside atmosphere. You can get everything from a cup of Ethiopian coffee to homemade Ethiopian dishes. 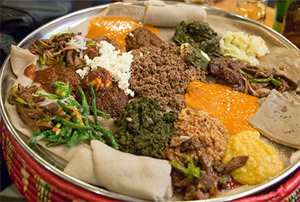 Back on the West Coast in the populated city of LA, Meals by Genet is a shoo-in to satisfy all your Ethiopian cravings. With the signature dishes they also offer a spin on a few classics. For the vegetarians out there, this restaurant offers Tofu tibs and vegetarian combos and sides. This restaurant is highly praised by locals around LA! You won’t find any BBQ or coleslaw in this restaurant. Lucy’s is truly as good as it gets in this southern state. One of the most popular dishes served is the Sambusa (fried or baked pastry filled with meat or vegetables). Along with the vast options of food. Lucy’s full service bar makes this place a great hang out spot for locals and Ethiopian expats. When it comes to true Ethiopian cuisine it doesn’t get more authentic than Bete-Lukas. 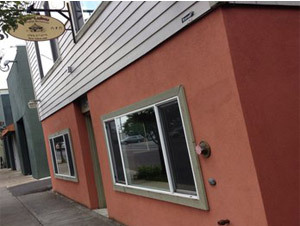 This small restaurant in Oregon is the closest thing to a home cooked Ethiopian meal. However, the closing time is based on when they run out of injera. So call before or go early and beat the rush. 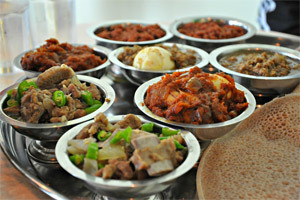 Renown for its take out, this Ethiopian restaurant is known for fast, healthy, and quality Ethiopian food. Portions are on the smaller side but they are jam packed with flavor and will leave you wanting more. The lentil sides and vegetarian combo platter is a great option for those looking for a light meal.